"Do you really take up six floors just for Customer Service?" "Just Service," Augustine corrected. "We don't make a distinction. 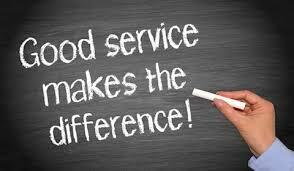 Customers, employees, employees' families, the community...It's all just Service." My title is a play on words from Charles Dickens' novel A Tale of Two Cities. I'm sure Ms. DiMartino, my high school language arts teacher will appreciate the fact that I used Dickens' title as an inspiration for this blog post title. Among other things, I am a cyclist and ride my road bike as a part of my exercise regimen. In fact, when I leave home, my goal is to ride no less than twenty miles before returning. In many instances, I stop to pick up a bottle of water and an energy bar from one of the stores along my selected route. 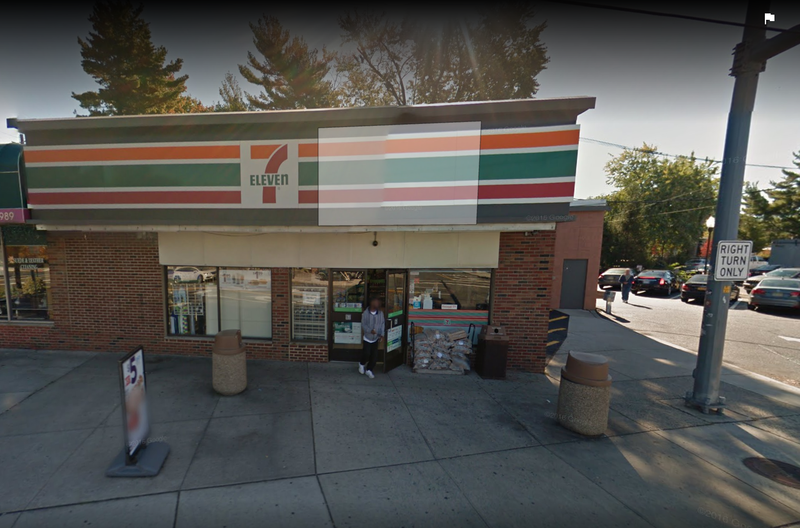 On this particular day, I spotted a 7-Eleven [450 Rochelle Ave, Rochelle Park, NJ 07662] and decided to follow my usual routine, however, as I was about to enter the store, I noticed someone walking along who looked somewhat suspect. Just something in my spirit guided me (you know how you get a feeling when something doesn't feel right?) to take my bicycle inside the store with me opposed to leaving it outside while I made my purchases. As I was bringing my bicycle inside of the door, the cashier began repeatedly yelling at me. I kept trying to explain to him that I understood his position and policy, however, I did not want my bicycle stolen (it's a relatively expensive road bike). He just kept yelling until ultimately, I said to him "I do not have to buy anything from this store nor do I have to beg anyone in order for me to spend my money" and I left the store. In all likelihood, I probably will not patronize that particular 7-Eleven ever again because of that one experience. Now juxtapose that experience that I had a day later at a Popeye's Louisiana Kitchen [438 Haledon Avenue, Haledon, NJ 07508] fast food restaurant. If any of you are familiar with Popeye's, you know the signs advertising the specials of the day are huge posters displayed in their windows. I quickly viewed the signs in the window as I went in and ordered the twenty piece leg/thigh promo I saw on the sign. It was a Sunday afternoon. As I waited for my order, the cashier shared with me that the promo that I had just ordered was only good on Mondays through Wednesdays. I looked perplexed and went back and reread the sign and sure enough, it said Mondays-Wednesdays only. I had failed to carefully read the sign. I explained this to her and she said that she placed the order anyway because she wanted to be a "Good Samaritan." I smiled and thanked her and she wished me a good day as I was leaving. Needless to say, my experience with the 7-Eleven cashier immediately popped into my mind and I thought to myself, "Wow! What a difference!" One experience turned me off to the establishment [7-Eleven in Rochelle Park, NJ] and the other endeared me to it [Popeye's in Haledon, NJ]. I'm sharing the locations for readers and hopefully management of each organization to know. Customers on the ground level do not know or could care less about the Chief Executive Officers (CEO's) or presidents of companies when they are transacting business. The representative at the ground level, i.e. cashiers, customer service representatives, salespeople, etc. etc. are the face of their respective companies. They can make or break a company. I realize in many instances, we deal with independently owned/operated and franchised establishments; however, the owners/employees still represent the brand. I don't know who the CEO of 7-Eleven is, but I do remember that nasty cashier. 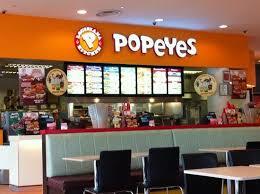 I don't know who the CEO of Popeye's is, but I do remember that compassionate cashier. In each instance, he/she became 7-Eleven and Popeye's respectively. Interestingly enough before I close, I had another very positive experience last night with a Barnes and Nobles [1156 US-46, Woodland Park, NJ 07424] cashier. I carry the Barnes and Nobles Educator card; however, I do not physically carry the card with me. Depending on which cashier I come across, he/she may or may not be willing to look my information up in their system. I've come across some B&N cashiers who are downright rude when it comes to using the Educator Discount Card. That was not the case last night. The young lady asked if I were a B&N member and I said no but I was eligible for the Educator discount and that my information was in the system. She patiently looked up my information and proceeded to apply the discount. Based on prior experience at this same B&N, I was pleasantly surprised and shared that with her. She went on to share with me that she believed educators deserved that discount and more and that we [educators] did not receive the credit that we deserved based on the job that we do and our role in society. As you can imagine, I walked out of there feeling great and will be shopping there again. Moral of the Story: Never ever underestimate the power of a kind word or deed. This is true in life and definitely can be the difference maker when you are representing a brand/company. Folks do not know who the CEO may be, but they do know how they were treated by a cashier, salesperson, customer service representative, operator, secretary, security guard, custodian, etc. etc. You may not be a CEO, prime minister, or president. 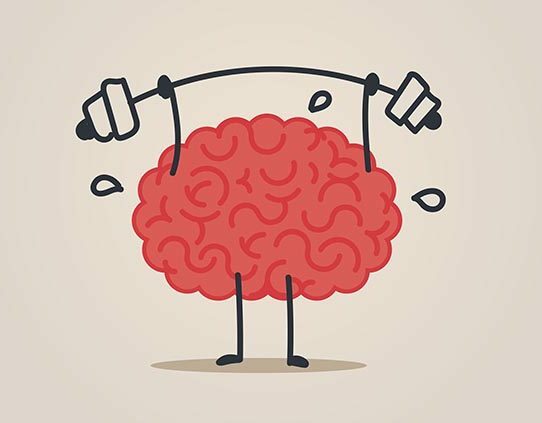 You may not be the head of your organization or boss of your company. But even if you don't happen to occupy a traditional "leadership position," that doesn't mean you're not in a position to influence others, to inspire and empower others, to be the catalyst for others' greatness. To champion their success; to hold them up. In other words, to give leadership, and in so doing, to nudge the world in a positive direction. Something to critically think about. Join me live each Saturday as I host my book talk radio show The Reading Circle with Marc Medley. It can be heard live around the world on gobrave.org and locally in northern NJ communities on FM Radio WP88.7 FM. You are also invited to follow me on Twitter @thinkcritical01 and @readingcircle01.